The time has come. Even the most ardent Dan Bylsma defender can see it. No matter his coaching ability it's time for a change behind the bench. Changing the coach, however, will not fix everything. 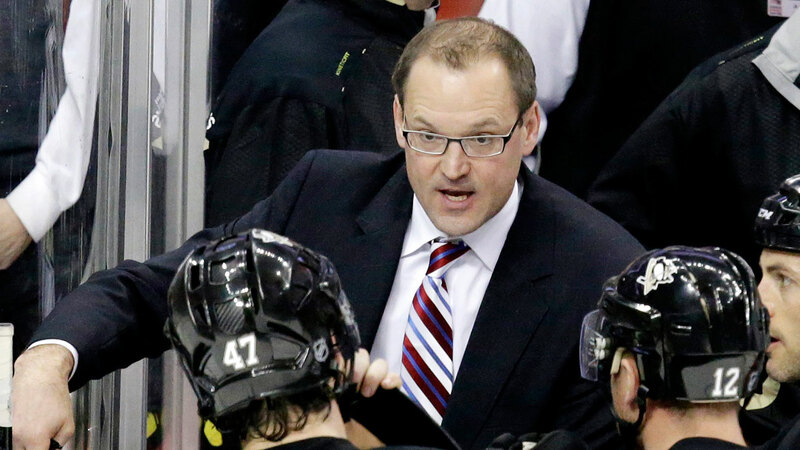 Whether you like Dan Bylsma or detest him you see that he's part of the problem. That's where the issue lies. Some blame the coach for everything. In truth firing Bylsma and calling it a day is treating the symptoms and not the disease. It's entirely possible that Bylsma has lost the team. We watch the Penguins play three games of exceptional hockey only to choke away that lead by deciding to not play the system which lead them to victory. That means the players don't care to play for the coach. That, however, brings about bigger problems. A tuned out team is a bad thing. We've seen it once and it's what lead to Bylsma's hiring. The bigger issue comes that a team that could have a chance to win a Cup, a team that could have made the Stanley Cup Finals, chose not to play to their potential. Repeatedly. Many articles will be written saying the same thing: This is not acceptable. A change needs to happen. Bylsma is that start. It runs from the limbs of the tree down to the root. The team was shallow. The team was bare. Beyond the top six there was little thread until late in the season. That lies on Shero for many reasons. Where is the youth? Players ready to make the next step languish in Wilkes-Barre/Scranton. Instead of giving Beau Bennett, Brian Gibbons, Adam Payerl, Scott Harrington, Jayson Megna, and Simon Despres time to develop in the major leagues the payroll is jammed with useless additions like Craig Adams, Tanner Glass, Rob Scuderi. Even players currently on the big roster like Robert Bortuzzo get zero chance to prove themselves. A look at the roster shows the old just keep going. And going. While Craig Adams is cheap so his inability is somewhat more excusable, albatross contracts like Rob Scuderi slow the team down and weigh the Cap down. It hurts. It makes the team shallow. It makes them slow. Rob Scuderi may be Ray Shero's biggest mistake. Drafting is a crap shoot but some teams are better than others. It's why the remaining teams have performed so well. Youth movements in Anaheim, New York, Chicago, Montreal, Boston and Los Angeles have given the teams more room to sign key players plus some speed and hunger in the bottom parts of the line ups. It's made them deeper and more complete. When was the last time the Penguins ever really had this? The team needs to focus on being younger and trusting their youth. They need to infuse speed and hunger. They need to be smarter in June. It begins with coaching, goes to players and goes to drafting. Everything needs changed. And change is coming. A new coach is a necessity but you can't get rid of the well and expect the reservoir to no longer be poisoned. A new coach is a start. The new Penguins cannot end there. They need a full cleansing.